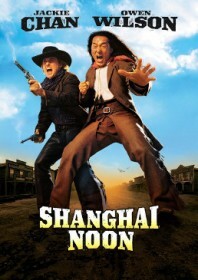 Hugely charming action comedy set in the wild west and a decent Hollywood vehicle for the exuberant Jackie Chan and comedian Owen Wilson, who both fit the film’s buddy formula well. A kidnapped princess, a bunch of rival outlaws and a stash of stolen gold act as our guide, but it is clear from the outset that deadpan humour and knockabout action is the real driving force. The final culminates in a great weapons duel between Chan and Yu Rong-guang (Iron Monkey) which is surprisingly prominent and well executed. The fact this is brought to us by the same team behind Rush Hour further cements Hollywood’s decision to cast Jackie Chan as the straight guy alongside popular US comedians. But at least the film is more wholesome and less offensive than Rush Hour. It’s actually one of Jackie’s best American movies.